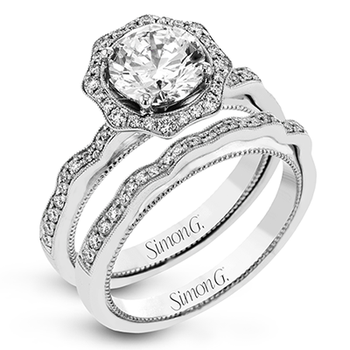 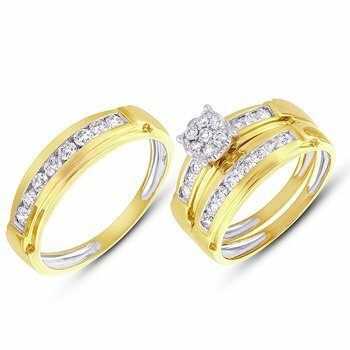 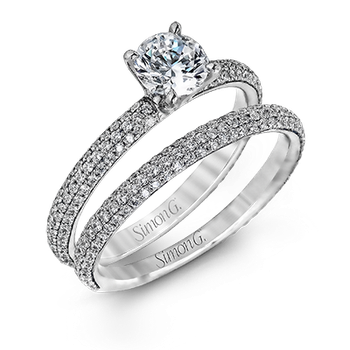 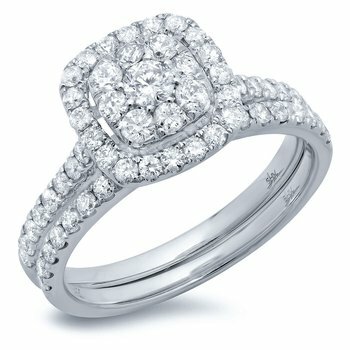 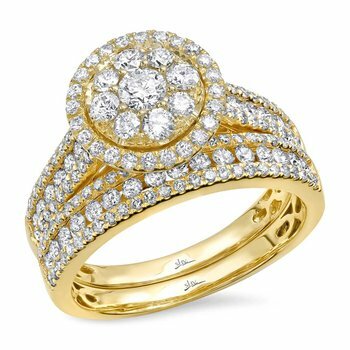 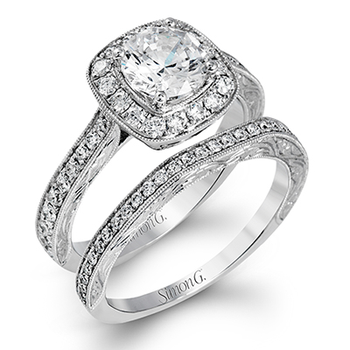 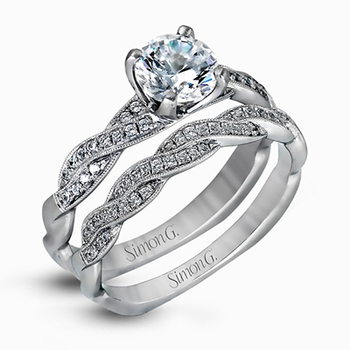 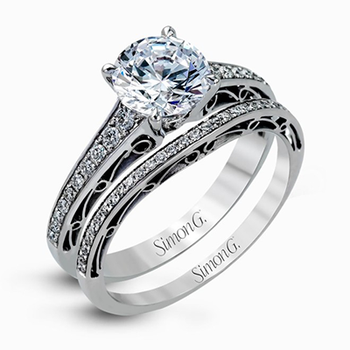 Express your intense love with this enchanting mill grain finish diamond lovebright wedding set. 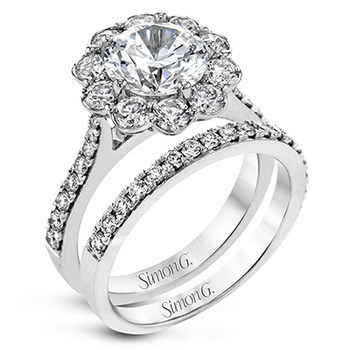 Radiating luminosity on lustrous 14 karat white gold the engagement ring is adorn with a cluster of 9 invisible set round cut diamonds at the center further embellished by dazzling 44 prong and pave set baguette and round cut diamonds that frame a square and flow down the split shank in brilliant rows. 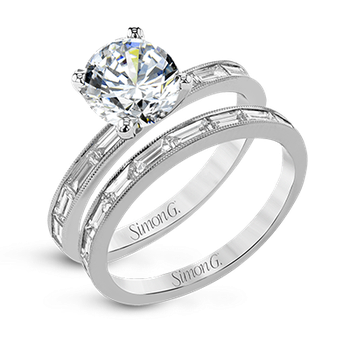 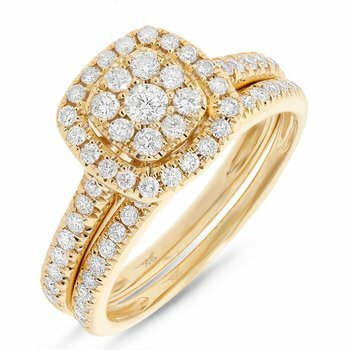 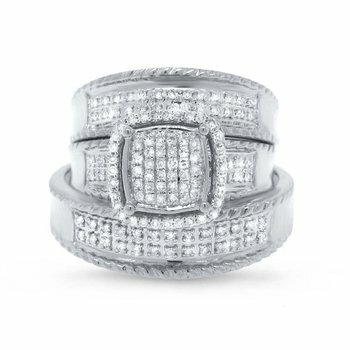 Brilliant 19 pave set round cut diamonds add sparkle to the beauty of this curved designed wedding band. 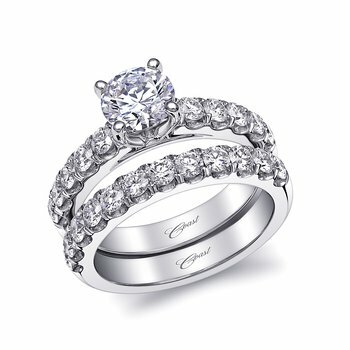 Total diamond weight for the set is 1 1/5 ctw.